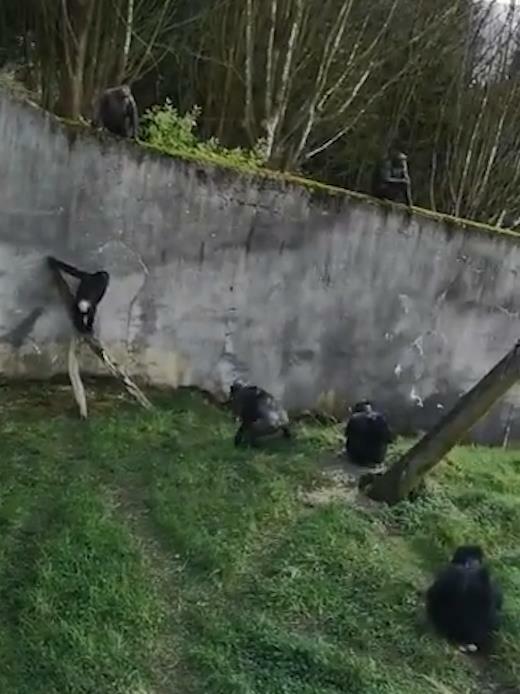 SMART chimpanzees built their own ladder to break out at a zoo and one even went for a stroll on a path. 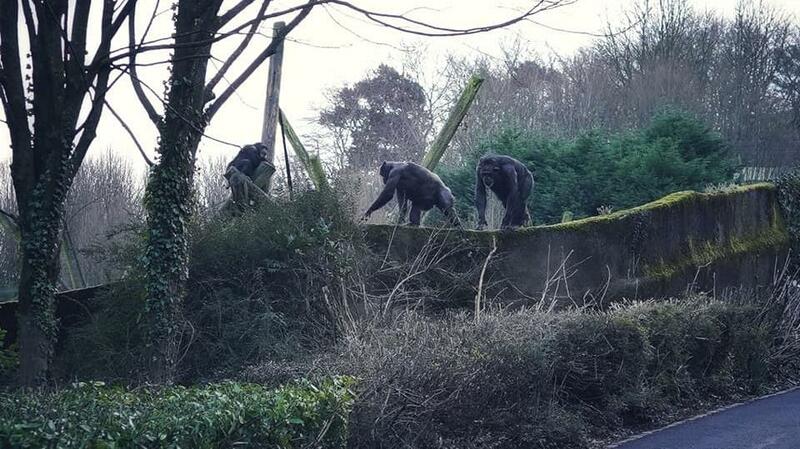 Visitors filmed the primates as they used branches of trees to scale their pen at Belfast Zoo. 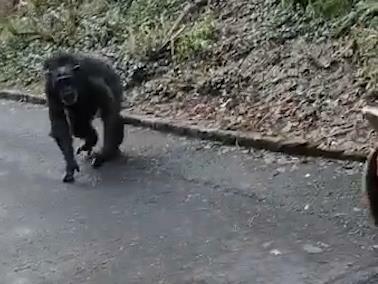 But their adventure ended when they returned to the enclosure of their own accord. It was the second breach at the Northern Ireland zoo in recent weeks after an endangered red panda went missing when electric fences failed. It was recaptured nearby.